We will update this page as 2017 products are released from the different mints around the world. 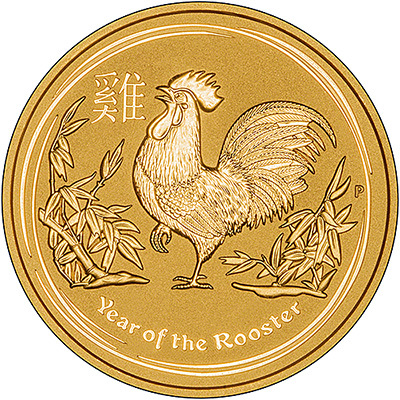 The third coin in the Royal Mint's lunar series is the Year of the Monkey. As British legal tender, they are exempt from Capital Gains Tax. To celebrate the 200th anniversary of the modern sovereign, the 2017 proof coins feature a remastered version of Benedetto Pistrucci's original St George and the Dragon design. The 2017 bullion sovereigns were released in December, 2016 and are available now. 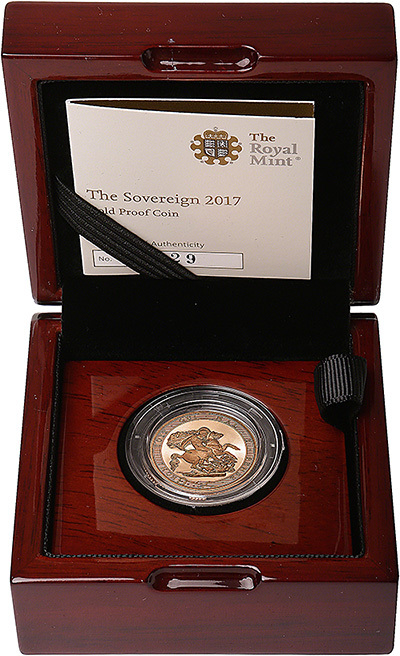 Half sovereign featuring the 200th anniversary design. Available on the proof version of the coin only. The 2017 uncirculated half sovereigns show the classic St George and the Dragon design. 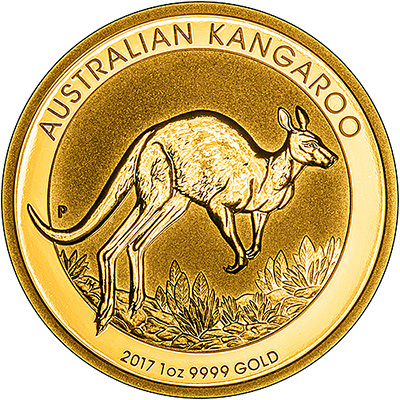 The 2017 quarter proof sovereign featuring the 200th anniversary reverse. These one ounce gold coins are free from CGT. 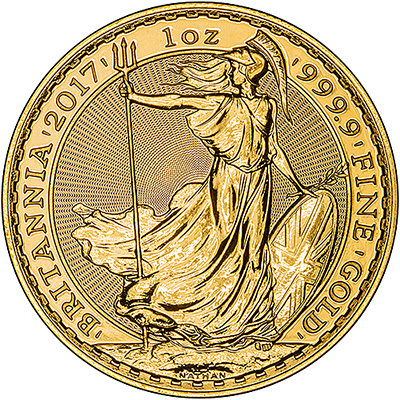 One of the most popular bullion coins, the Britannia is free from Capital Gains Tax. This is the first bullion Britannia to feature the fifth portrait of the Queen, by Jody Clark. 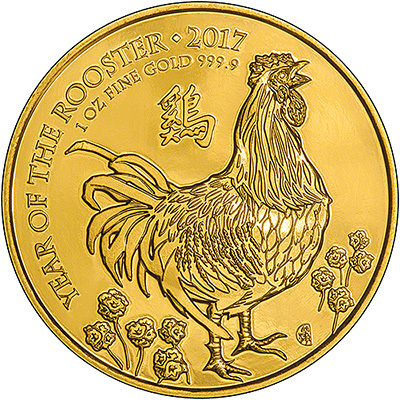 We have the 2017 Australian Gold Nuggets and the 2017 Year of the Rooster Gold Coins in stock. 2017 Chinese Gold Pandas . With a different design every year, the Panda is a very popular series. 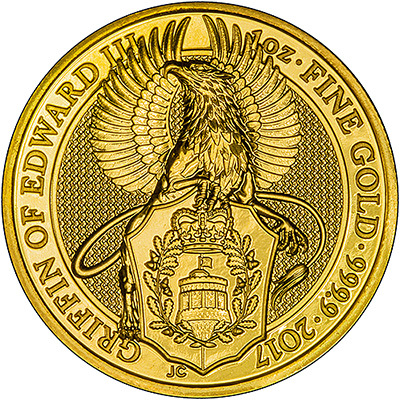 The 2017 coins are available in sizes from 1g up to 30g. We are sure there will be more 2017 coins to follow. If you would like to recieve up to date information on our stock we would recommend following us on Twitter or watch for updates on our Facebook page.